The Roman Catholic Church of Mauritius in collaboration with the Mauritius Post released on 9 September 2014 a Special Commemorative Cover (SCC) to mark the 150th death anniversary of Blessed Father Laval. 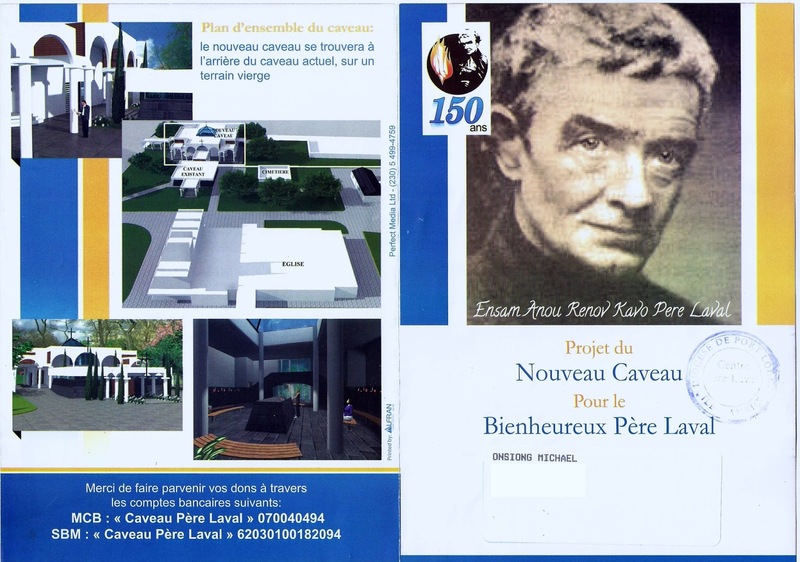 Born in 1803 in Croth (Eure), Normandy, France, Jacques Désiré Laval or 'Lal', as he nicknamed himself, had announced at the age of 7 that he would be either priest or doctor. 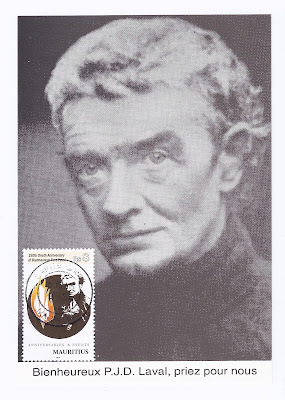 From 1830 till 1835, he was doctor in Normandy, and even thought about getting married. 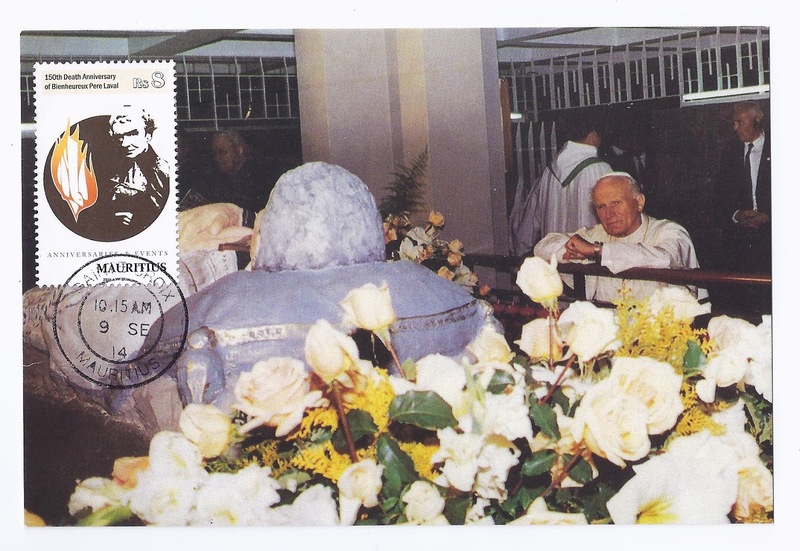 But God's call would prove stronger. 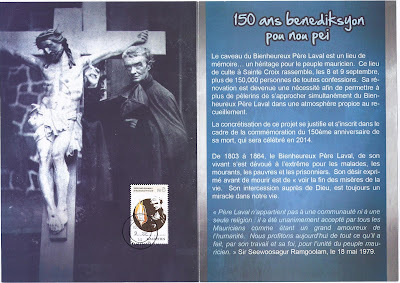 His dream was to become missionary in China, but in 1838, he became priest and practised for two years in Pinterville. 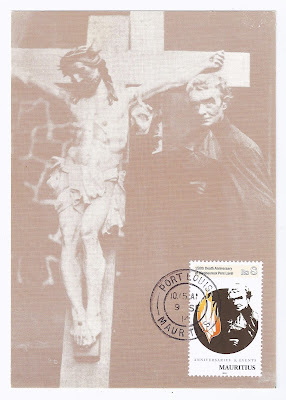 However Father Laval wanted to serve the poor. 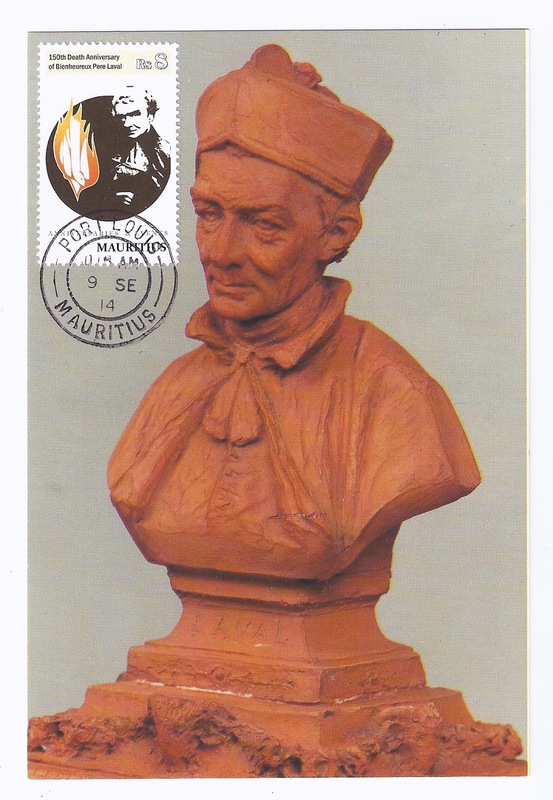 He boarded the Tanjore in London on 2 June 1841 and arrived in Port Louis on 14 September 1841, as the first Spiritan in Mauritius. During his 23 years at the service of the Mauritian people, he succeeds in evangelising the former slaves by turning them into the Catechists of their brothers, and of their former masters too. On 9 September 1864, at the age of 61, Father Laval passed away, exhausted; a procession of 40,000 people carried his coffin to Sainte Croix ('Holy Cross' in English) where he chose to be buried. 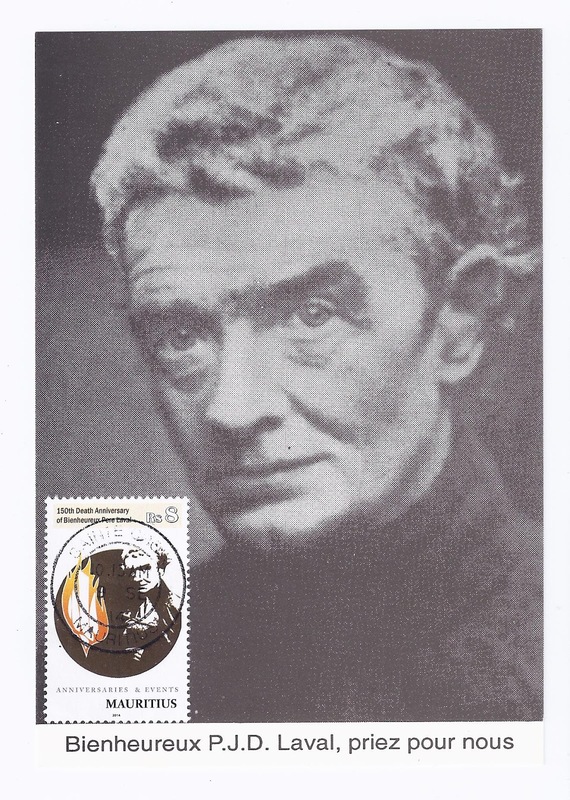 2014 marked the 150 years of Father Laval's passing away; a Rs8 stamp was issued to mark this milestone. 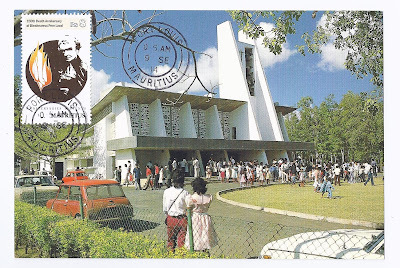 He is recognised as the Apostle of the unity of all Mauritians ("L'Apôtre de l'unité de tous les Mauriciens"). 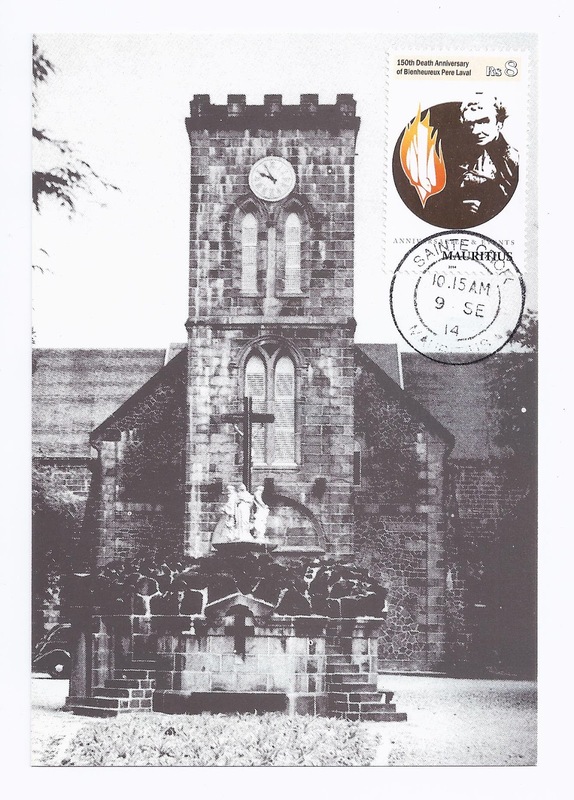 150 years after his death, accounts of gratitude for physical, moral, spiritual and relational recoveries still come in from all parts of the island and abroad. 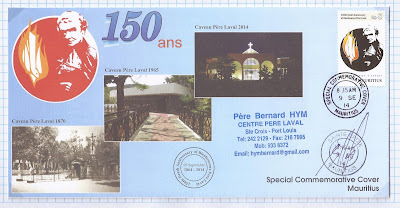 Mauritians of all religions and social classes flock to Father Laval's shrine all year round to confide their hopes and sorrows, their ups and downs to him. 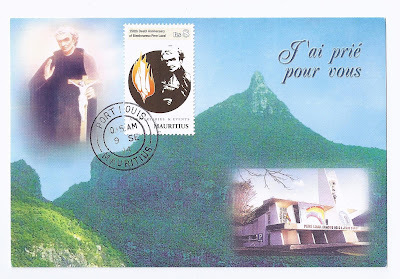 On 30 April 1979, to commemorate the beatification by Pope John Paul II of Father Laval, Mauritius issued three postage stamps and a souvenir sheet. "May this stamp remind us that whenever we doubt our Mauritianism (Mauricianisme in French), whenever we believe that our differences divide us instead of enriching us mutually, let us turn to Father Laval and we shall find the courage to believe that it is possible to build a future for our children, a future of peace and fraternity." N.B. : The above text is adapted from the SCC insert and is translated from French. From the 'Anniversaries and Events' issue of 28 May 2014. 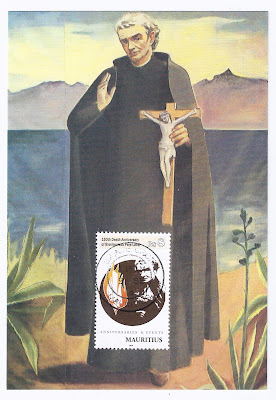 Painting of Father Laval exposed at St. Peter's Basilica during his beatification in April 1979; today in Sainte Croix church. 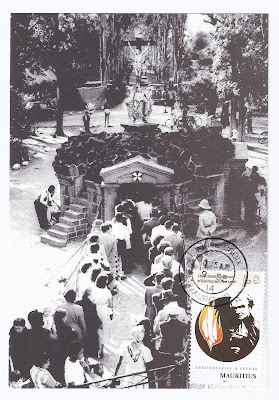 Former vault of Father Laval, erected in 1870, demolished in 1964. Old Sainte Croix church destroyed by cyclone Carol in 1960. Pope John Paul II praying at Father Laval's shrine on 15 October 1989 during his visit to Mauritius.